Acupuncture offers low-risk pain relief. Try it today. 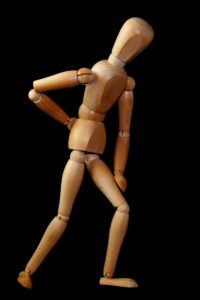 Pain is a loud alarm system our bodies sound to alert us that something is not right. Designed to be un-ignorable, pain often wreaks havoc on peoples’ lives and their ability to attain happiness. As we have seen in recent years, the solution most often used to treat pain—pain killers such as opioids—have themselves transitioned from sought-after solutions to painful problems. Much safer than drugs or surgery, acupuncture and Chinese Medicine can be used to treat all types of pain, including back and neck pain, nerve pain, headaches, fibromyalgia, osteoarthritis, and menstrual cramps. Whether acute or chronic, your practitioner will ask you details about the onset and progression of your pain to determine where the underlying imbalance is stemming from and how best to treat it. With acupuncture, the insertion of super-fine acupuncture needles leads to the release of the body’s natural pain-killers, such as endorphins, and stimulates the area of the brain where ‘happy chemicals’, such as serotonin, are produced. Other techniques such as massage, cupping, gua sha, or movement therapy may also be integrated into your acupuncture session to bring about lasting results and optimize the degree of pain relief. Acupuncture has proven itself an effective modality for the treatment of pain. Call us today to see if Blume Acupuncture & Wellness is the right clinic for you, or click here to book your appointment with a few simple clicks.